Are your daily walks stress filled affairs? Does the thought of letting your dog off lead give you a panic attack? My name is Dom, and when I got my first dog, I pictured us sharing lots of wonderful walks together. The reality was that the only thing that kept us together was the dog lead itself! Walks were really hard work, and… why was my dog so interested in every leaf, lamppost, pigeon or dog that we came across?! Never mind doing any training, just getting my dog to look at me outdoors was a struggle. Something that wasn’t stuffed with woo woo wolf theories, dangerous dog whispering techniques or full of complicated dog trainer words that only other bloody dog trainers could understand. Was there a book that would be easy enough for me and my dog to understand and fun for both of us to put in action? This is a complete how to guide for any pet dog owner who wants to enjoy stress free walks with their four legged friend. 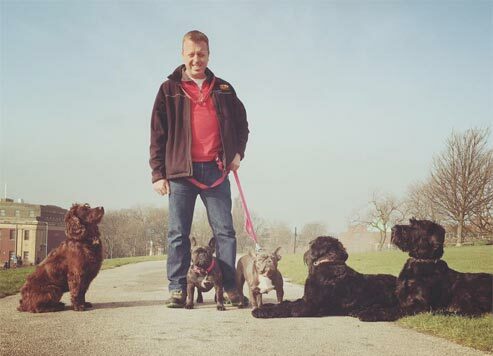 You will find out my easy to follow methods to help you connect, bond, play, train and truly enjoy your dog without any of the woo woo wolf theories you get in other dog training books. 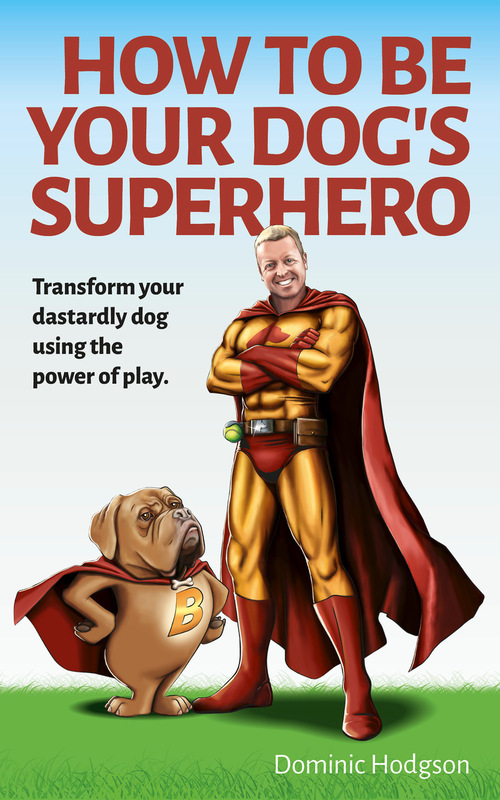 The truth is anyone can be there dogs superhero and this includes you too. How to find your canine Kryptonite. This is the thing that will make your dog look at you like a 10 year old meeting Spiderman for the first time!